I don't know about you, but I am tired of the weather around here. It is forecast to get worse next week with a low Tuesday around -15 F and three solid days in single digits or below zero. Did I mention the snow? This weather is seriously cutting into BBQ practice time. With our season starting early this year, every week lost brings us that much closer to our first competition. So, I have resigned myself to cooking indoors and making hearty meals to keep the cold away. I wanted a taste of summer last night. So, I made a batch of my mothers homemade Hot Dog Sauce. Warning, this hot dog chili sauce is not like a Coney or Cincinnati style sauce. It is what my mother made and passed down. I kinda like it better than a traditional sauce. 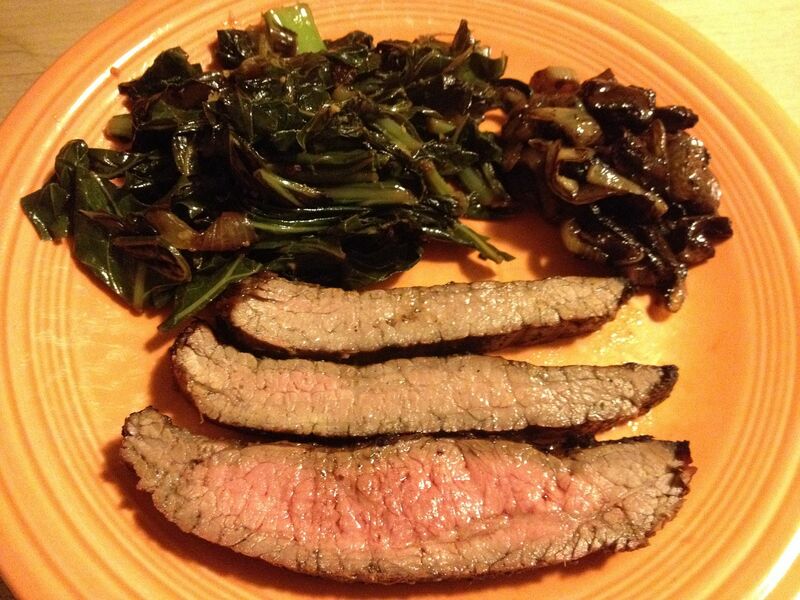 It is quick and easy to make and light years better than anything you can get in a can. The recipe changes every time I make it as this is one of those recipes that reside in my head. But, here is how I made it this time. 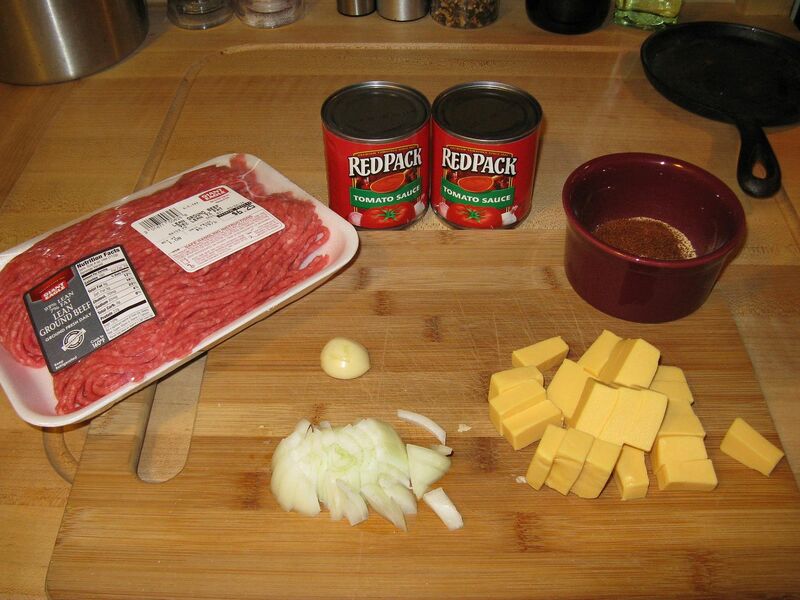 1 lb lean ground beef. I used 97:3. 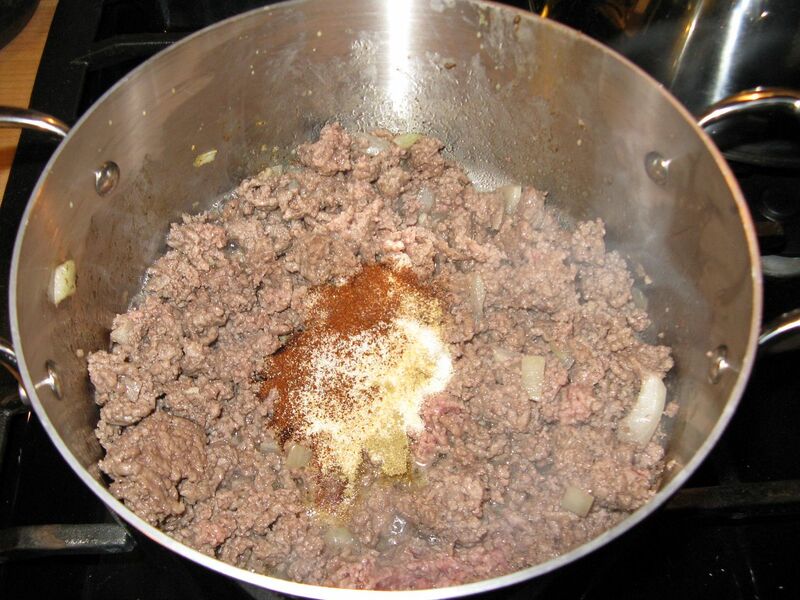 Then, I added my burger meat and browned until all crumbled. Then, I incorporated my spice mixture and let sauté along with the meat for about five minutes. 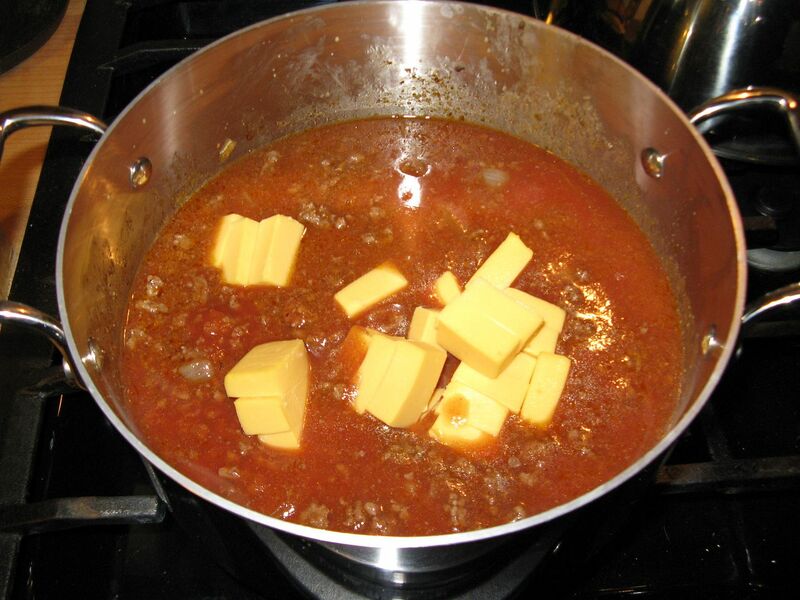 Next, add both 8 ounce cans of tomato sauce + one can of water and your cheese. 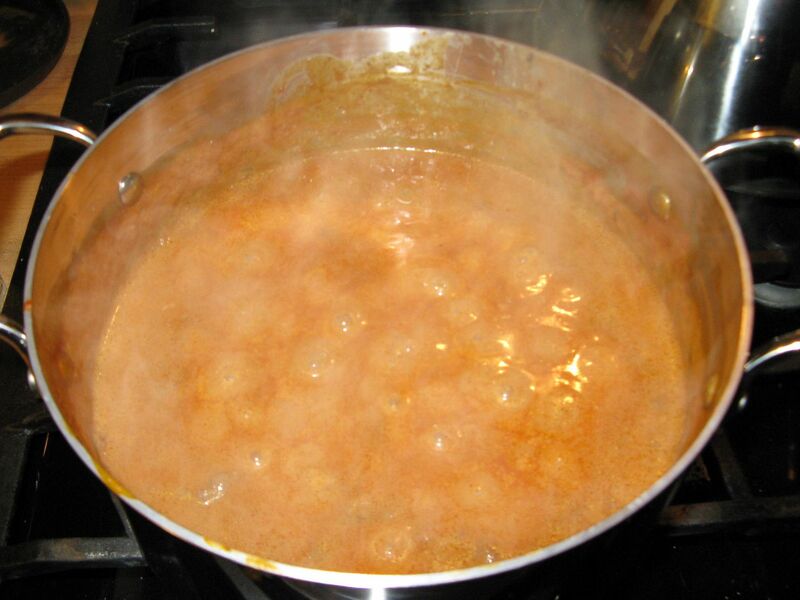 Bring pot to a boil, reduce heat, and simmer to reduce. 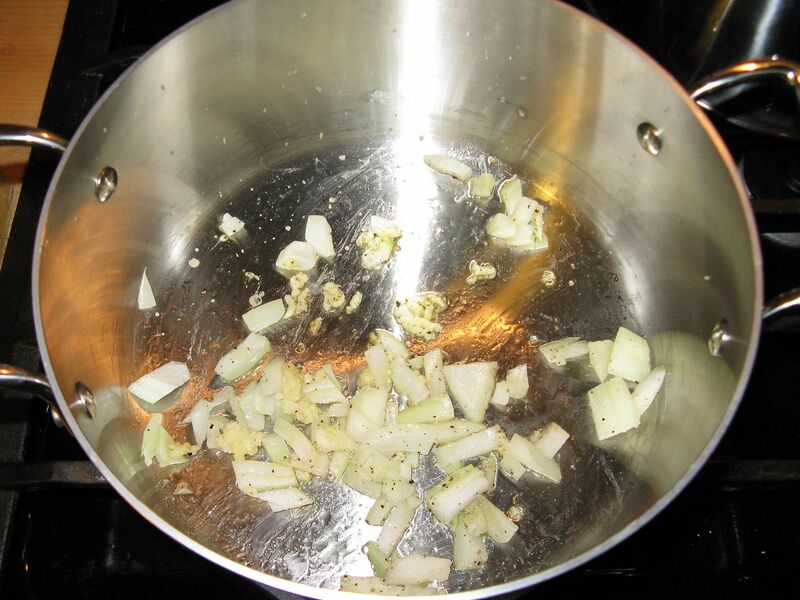 This is what it looks like after about 30 minutes of reduction. I make a bigger batch than I need as I will freeze the leftovers for use at a later date. 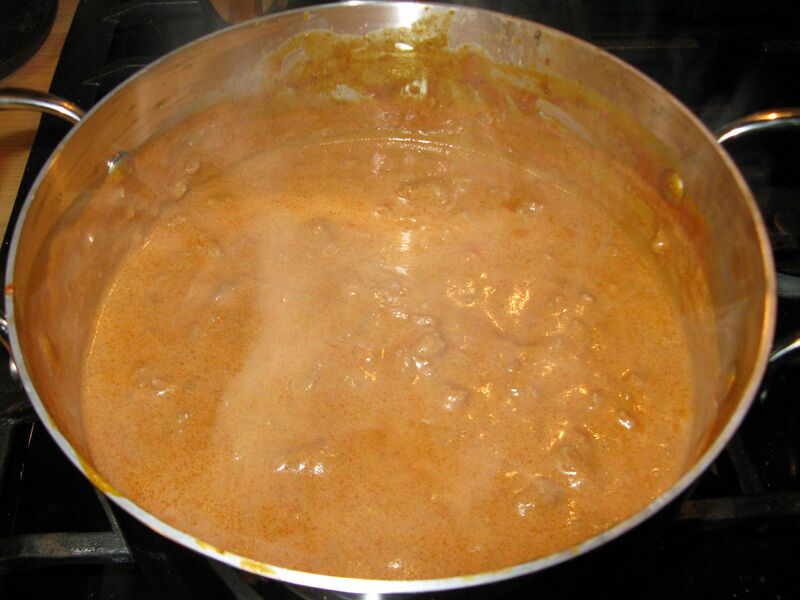 The cheese adds a nice creamy component and also helps to thicken the final product. The spices add a little kick and a great flavor. You can add more chili powder to suit your taste. I would add more, but I have to keep it on the tame side as Hope is not into the overly spicy. Usually I grill my dogs, but with the temperature at 11 F with a howling wind, I resigned myself to pan frying (gasp!). 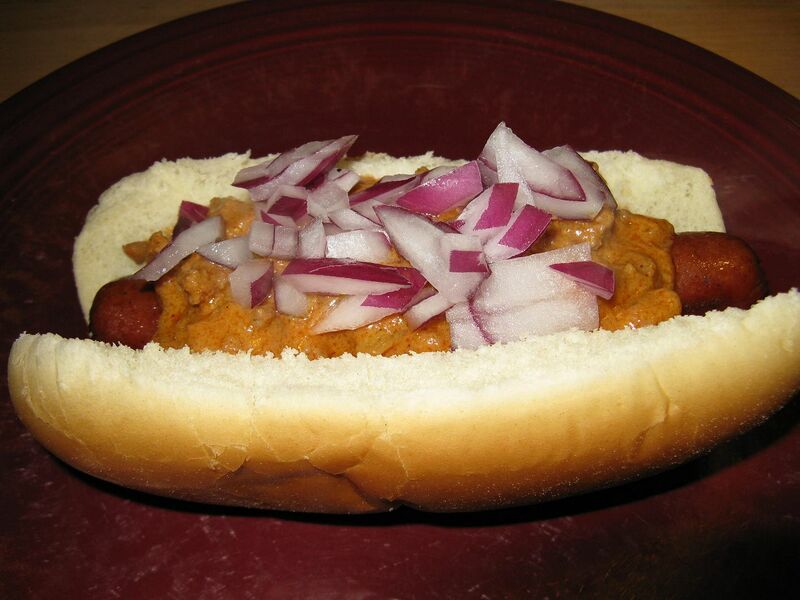 So, I placed my hot dog in a bun, loaded up with sauce, and sprinkled diced red onion on top. Serve with a beer and pretend it is 75 F and sunny outside. Alternatively, my mom used to put cole slaw on top as well. It is a nice addition to a chili dog. We call it West Virginia style. 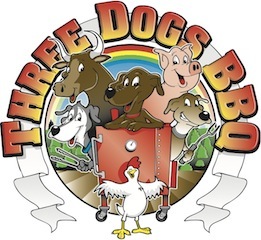 If you don't believe me, there is a great blog dedicated to the West Virginia Hot Dog. Have a peak. They are running a tournament right now pitting different styles of hot dogs against each other. Comfort food is the best sometimes. It even better if originated from your mom. Sounds good. It also sounds like you have all of our winter. I got sunburned yesterday. I could go for a sunburn right about now. One positive of the extended cold weather is that all of the stink bugs that we have around here should die. I'll try and send you some rain. 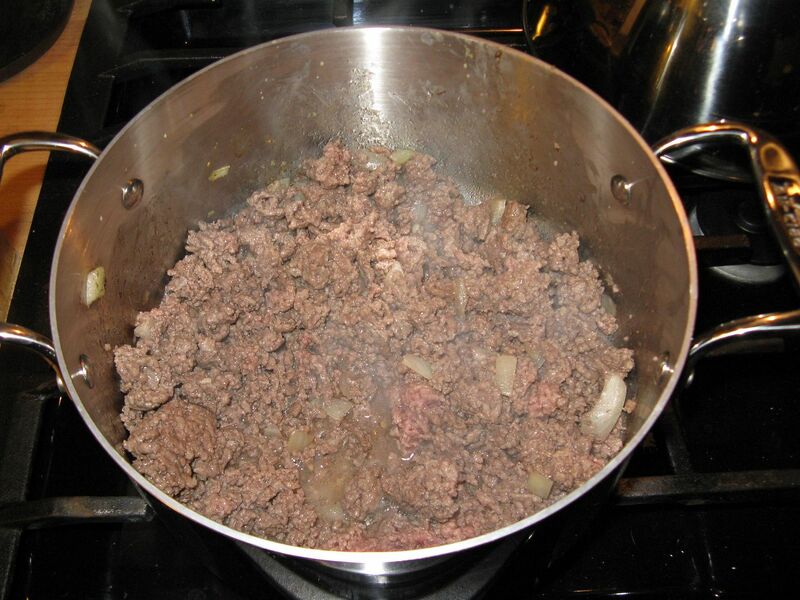 Bill, I just made the sauce using ground lamb instead of beef. 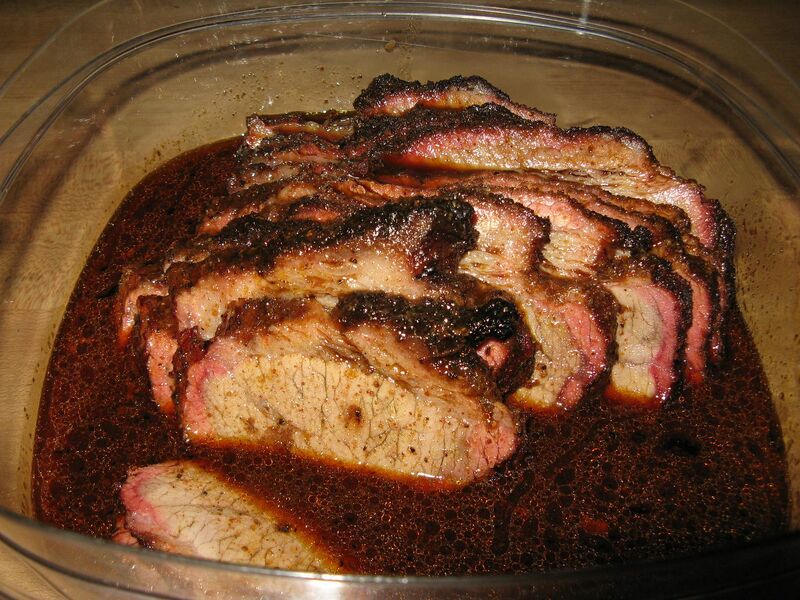 We make it almost the same....I use a bit more onion, no onion powder, and a bit more chili powder. Know my dog had cole slaw and onions on top!!! Good job! Thanks Mom. I'll have to try the lamb. Good idea.